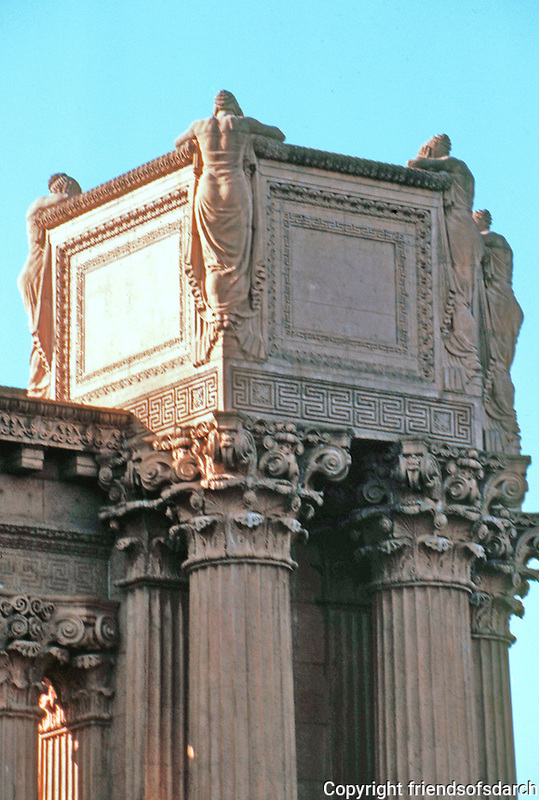 Bernard Maybeck: Palace of Fine Arts--detail. "Eloquest expression to the mood of melancholy". Photo '83.